The 18-year-old could make the move to the Scottish champions on deadline day. 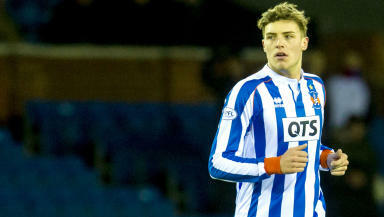 Celtic have made a move for Kilmarnock’s teenage striker Robbie Muirhead. Talks are ongoing between the two clubs with just hours to go before the January transfer window shuts. The 18-year-old forward has scored twice in 22 appearances for the Ayrshire men so far this term. Muirhead made his debut for the Rugby Park club against St Mirren in May 2013 but has become a first team player under Allan Johnston. Ronny Deila’s league leaders are on the hunt for new attackers and could seal a deal for the Scotland Under 19 international. On Sunday, STV revealed the Rugby Park side had taken former Crewe striker Mathias Pogba on trial. 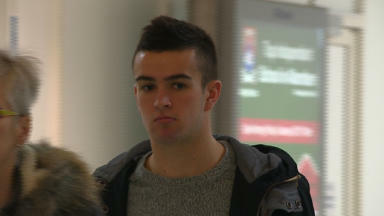 The 24-year-old is the brother of Juventus and France midfielder Paul Pogba.